Application form for 2007 album “LOST HIGHWAY” reservation. For TOWER RECORDS. The release date is June 13, the amount of the first limited edition board is 3,000 yen notation. 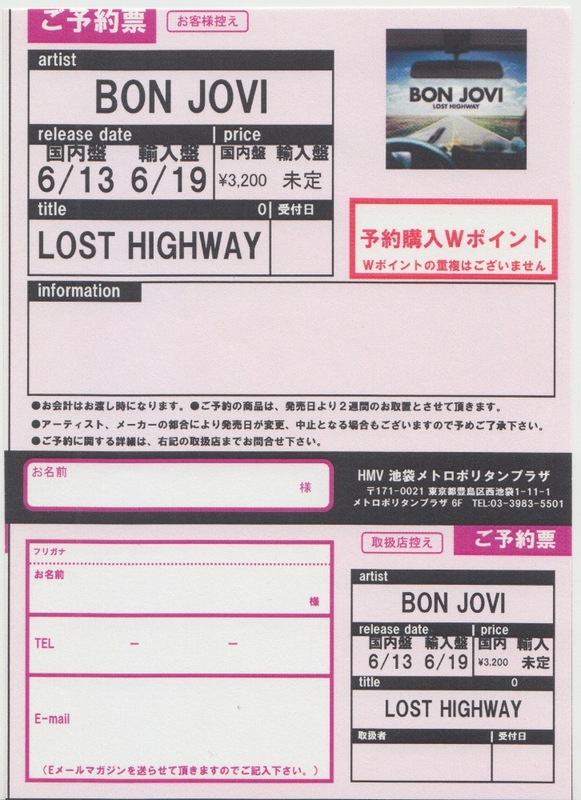 Application form for 2007 album “LOST HIGHWAY” reservation. For TSUTAYA RECORDS. The release date is June 12, the amount of the first limited edition board is 3,300 yen notation. 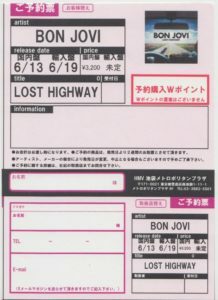 Application form for 2007 album “LOST HIGHWAY” reservation. 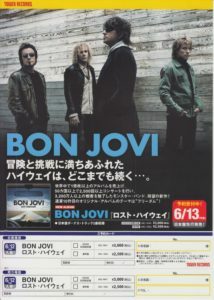 For HMV (Ikebukuro Metropolitan Plaza store). The release date is June 13, the amount of the first limited edition board is 3,200 yen notation.